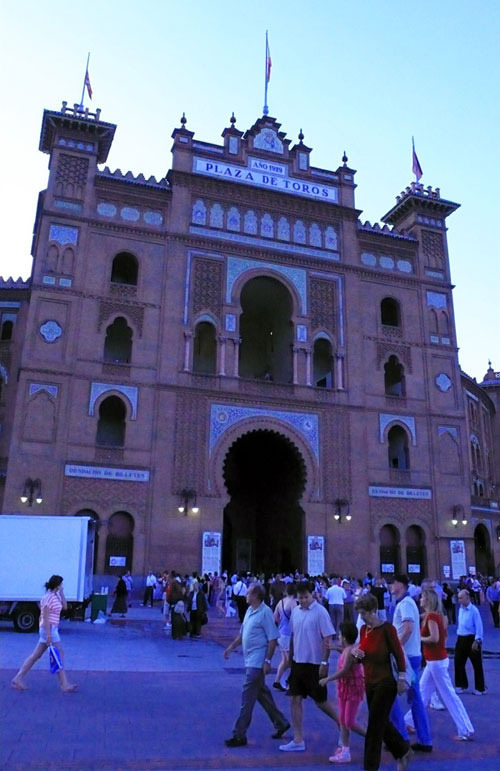 Plaza De Toros Monumental De Las Ventas Madrid, Vamanos! 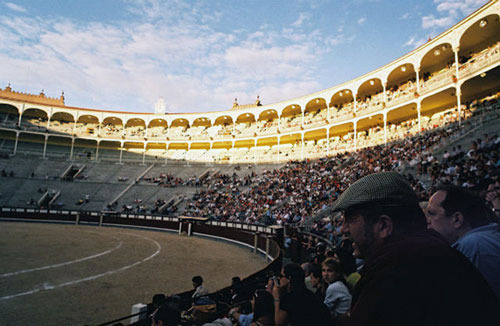 Plaza De Toros felt a little strange. 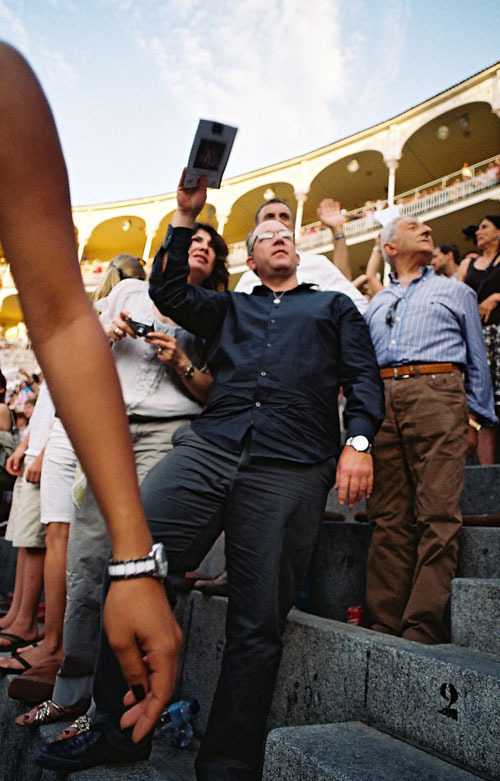 The idea of attending a bullfight was daunting. 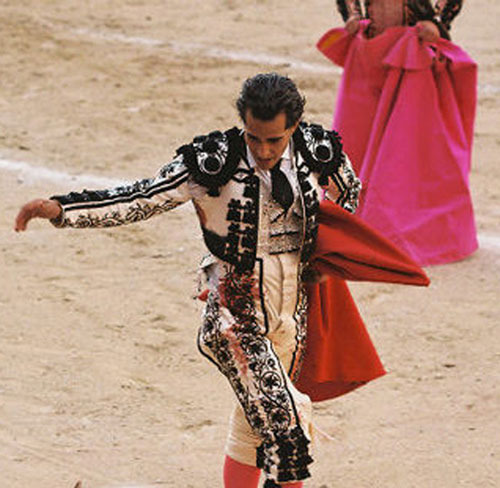 After all, I am not accustomed to watching a man singlehandedly confront and kill a massive bull. 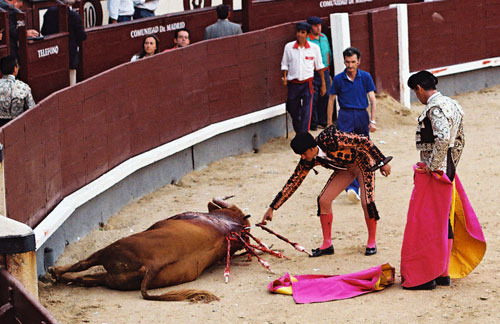 The idea of nakedly confronting an animal that fierce is beyond me. I am not that courageous or that cruel. I pretended I was watching a dance. A decadent dance. 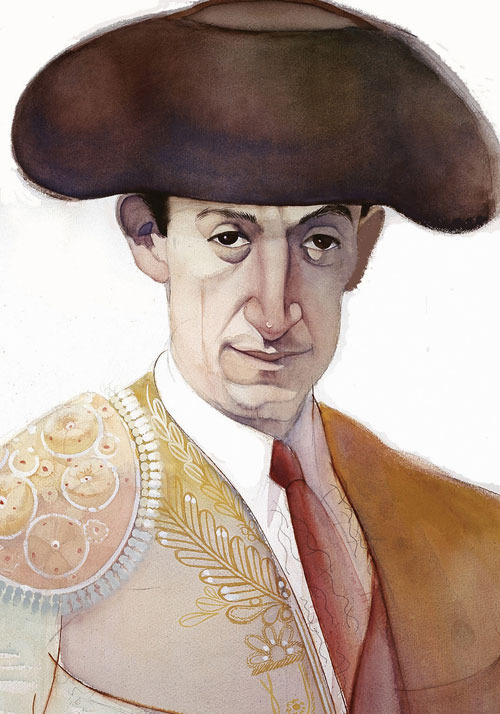 Years ago, as an art student, I painted a portrait of the great Manolete. 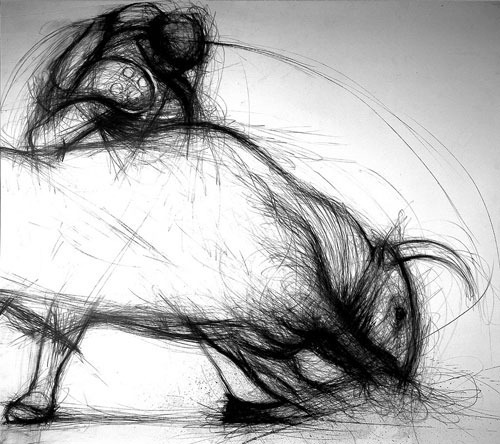 I also executed several charcoal drawings of bullfighters. These drawings represented a crossroads in the evolution of a personal style. 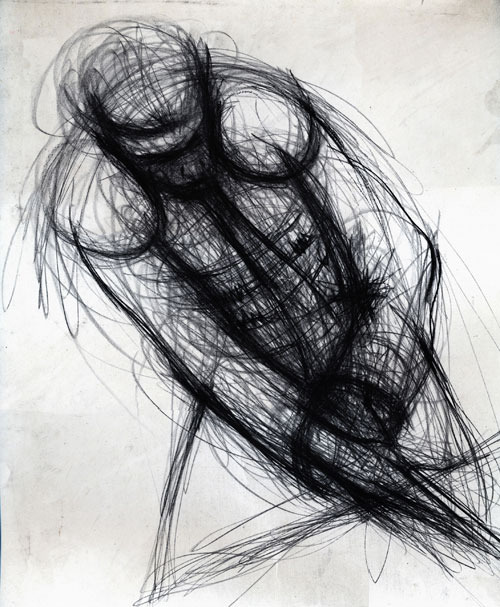 But the selection of the subject matter also revealed a cultural influence that was genuine. My father was of Spanish, and Mexican descent. 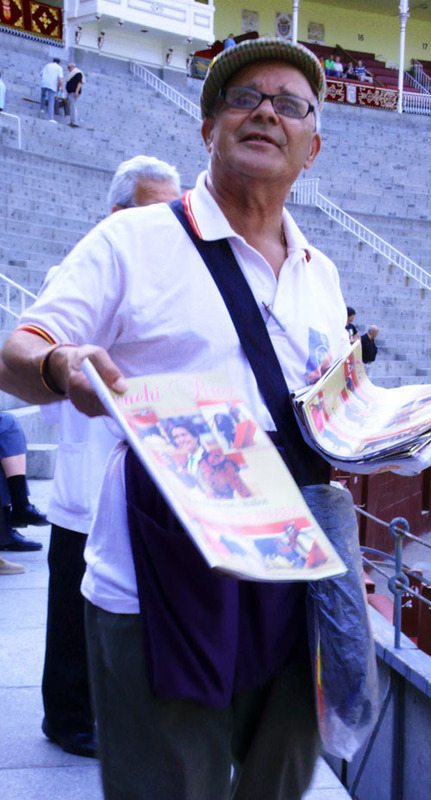 He grew up in Taos County, New Mexico, in a little mountain town called Penasco. He was, by all accounts, a hell-raiser, and rode freight trains to Colorado and Utah in his youth. 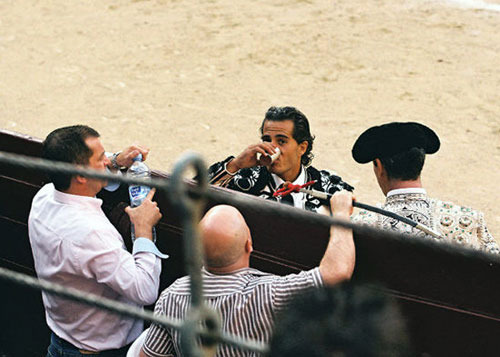 His favorite sports were boxing and bullfighting, and he loved to fire his .45 caliber revolver. My mother was of Italian, and Mexican descent. She was a lover of animals. 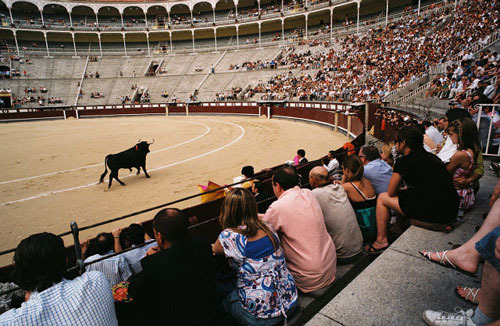 Had they found themselves at Las Ventas, she would have stayed outside and prayed for the bull while my old man would have venerated the Matador while he sent the bull straight to hell. They listened to a lot of Mariachi music when I was young, and there was a strong Latin underbelly beneath our overtly American skin. 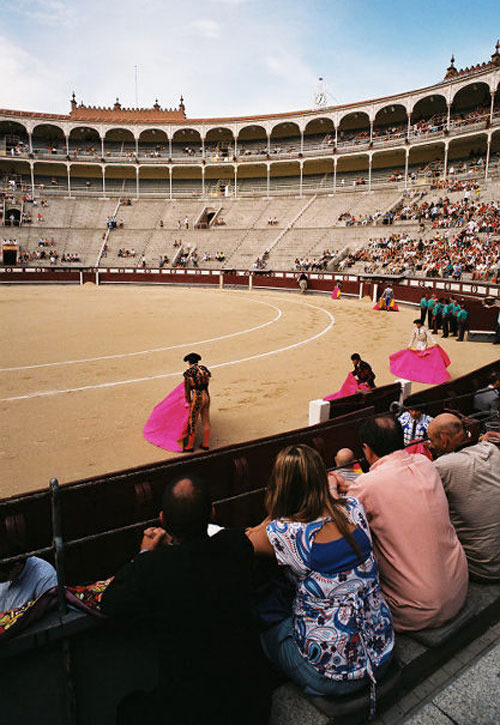 The bullfights, six in all, went according to the same sequence of actions. 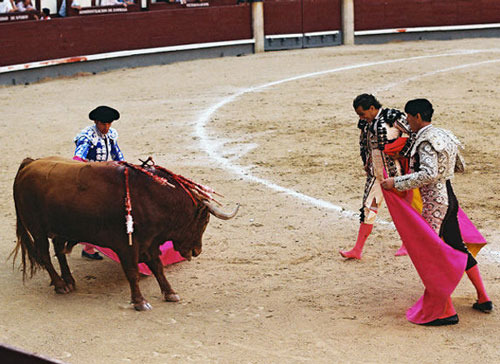 The bull is released into the ring, and there he is distracted and exhausted by several assistant Matadors with capes. 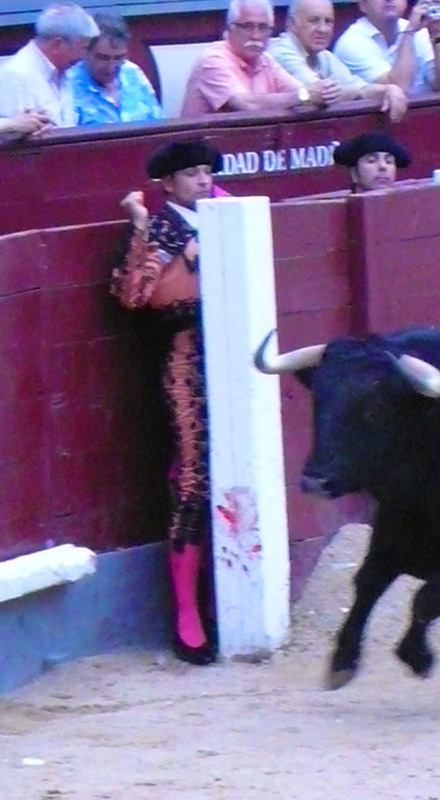 They yell, “hey, hey, toro” as they wave their capes in front of the bull and then duck behind a wooden wall that the bull cannot penetrate. This causes the bull to run around the ring. 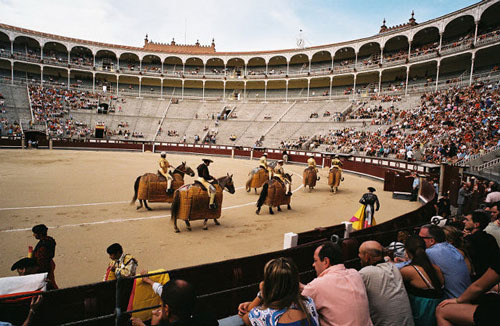 Pretty soon after that, the Picadors, two of them, ride out on their horses. And they are impressive! The horse is powerfully built, and his eyes are wrapped with a cloth covering that allows no eyesight. He is completely protected with pads under his belly, and around his neck and legs. 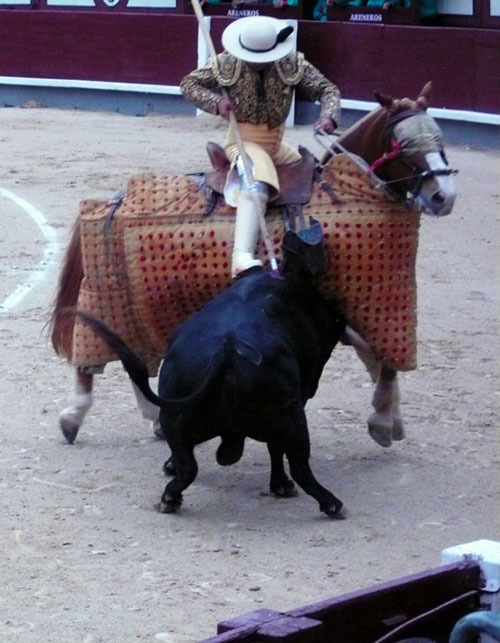 The Picador himself has his feet is metal stirrups, and it looks as if he is protected from the waist down. He carries a long pole with a pointed end. 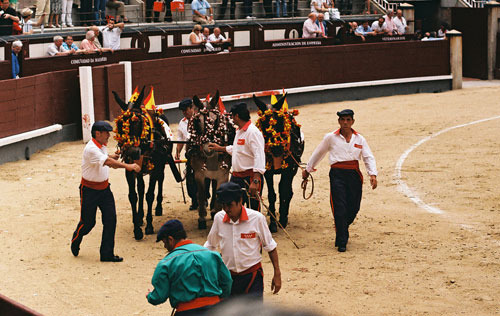 The men with the capes artfully maneuver the bull to the Picador. 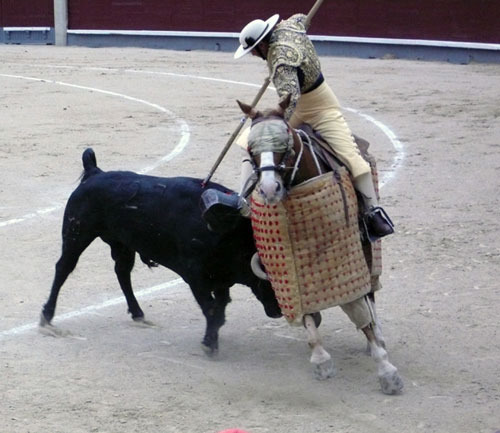 Then the bull charges the Picador, lifting the horse off the ground. 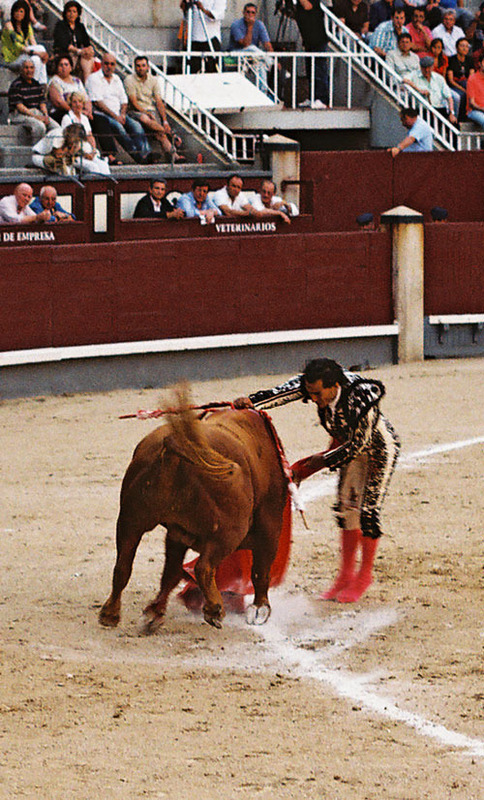 The Picador stabs the bull two or three times, causing the animal to bleed from his hump. 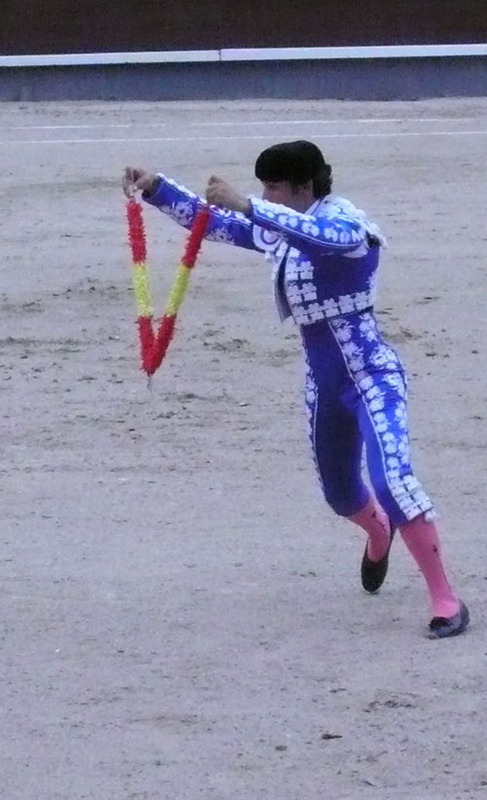 Two sets of decorated darts, or Banderillas, are then stuck into the bull. 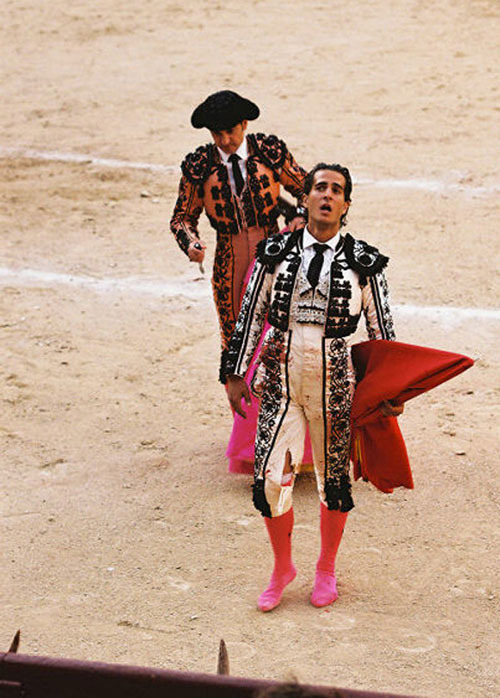 The Matadors work as a team and they are extremely professional. 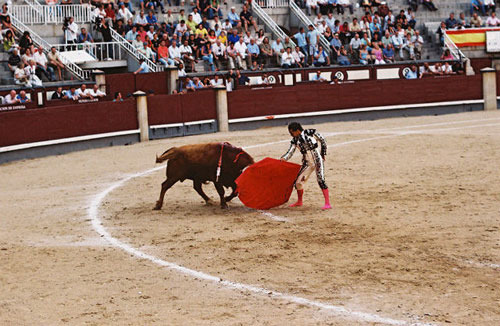 The head Matador stands aside during the preliminary stages (Tercio) of the fight, observing the bull carefully as the assistants, the Picadors, and the Banderilleros do their work. The crowd let out a collective “ooooohhhh!” when this happened. 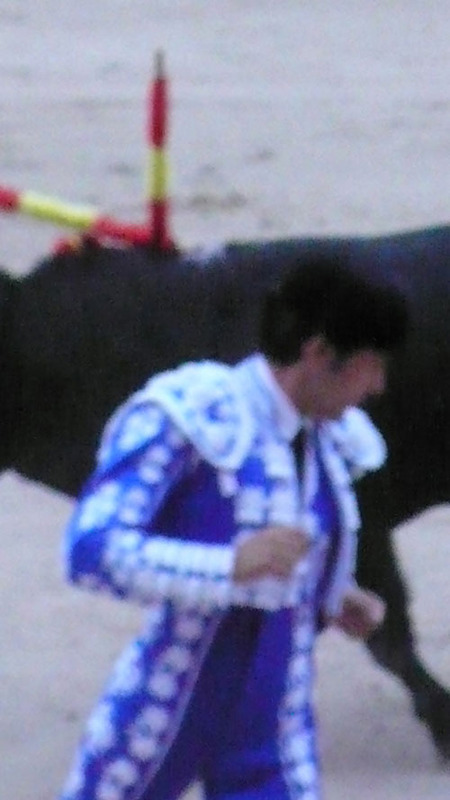 The Matador seemed a bit undone, and had to come back and taunt the dying animal for a second time. 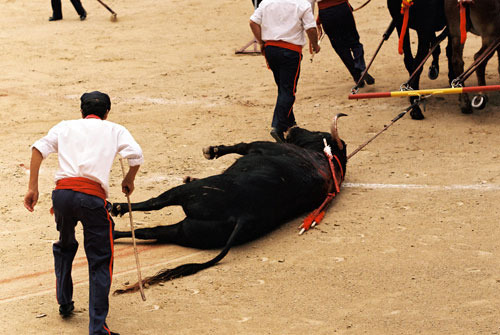 Finally, the bull collapsed and an assistant administered the fatal blow with his dagger. That was one hell of a bull!